Sylk natural lubricant 40ml bottle is available on request over the counter from all chemists in the UK. Just ask at the pharmacy counter. Your pharmacist will be able to order Sylk natural lubricant from their local wholesaler using PIP code 314-9689. Sylk natural lubricant 40ml bottle is also available on prescription. Talk to your doctor or nurse prescriber for more information. 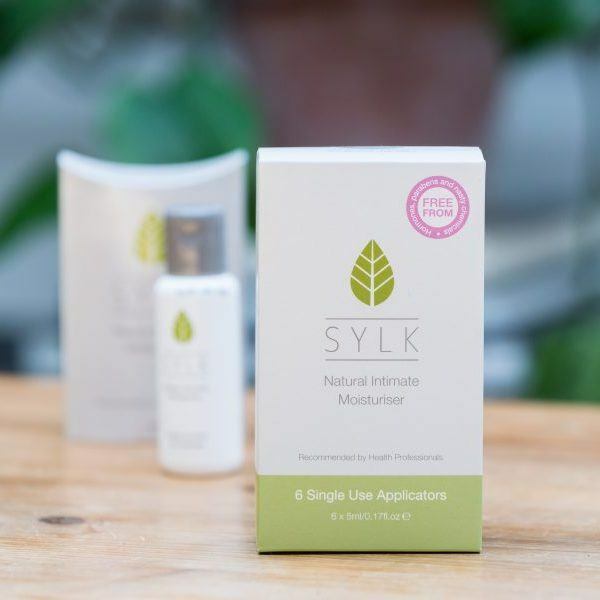 Sylk natural lubricant 40ml bottle and Sylk Single Use Applicators are also available to buy direct from our online shop. Orders placed before 11am will be dispatched same day and will be sent in discreet, plain packaging. Orders placed after 11am and on weekends will be dispatched on the next working day. Please note all orders placed via our website will be subject to £3 p&p (£4.50 for international orders). Sylk is also available from a number of other online retailers. How to use Sylk What is in Sylk? What is Sylk? Why is Sylk best? Do you have a contact number to talk to a person? Have a look at our contact page for the number, we’re available until 3pm every day. Thanks!